The long queue in front of the stall was too tempting to give it amiss for the foodies like us. 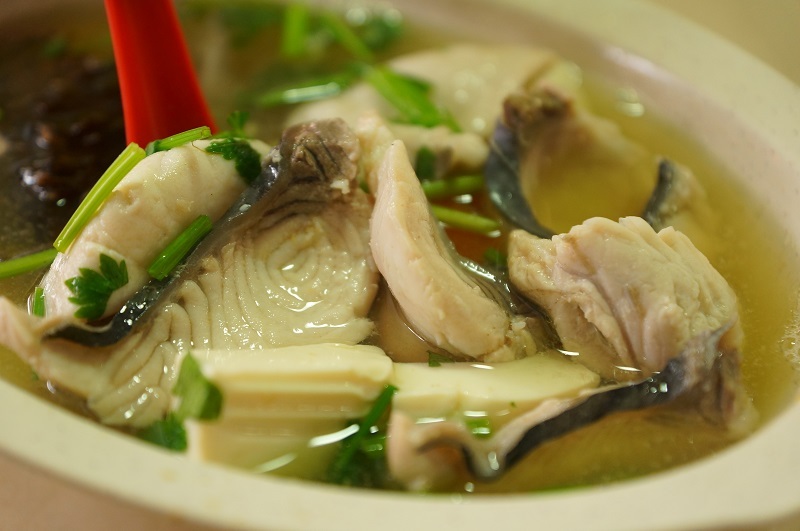 The media coverage and featured by the TV displayed at the stall probably gives the Han Jiang Fish Soup the further boost. We were in the queue for more than 25 minutes and that made the bowl of the fish soup more precious. It comes with $4 / 5 and 6. We ordered the $6 serving that came with tofu, seaweed and tomatoes. 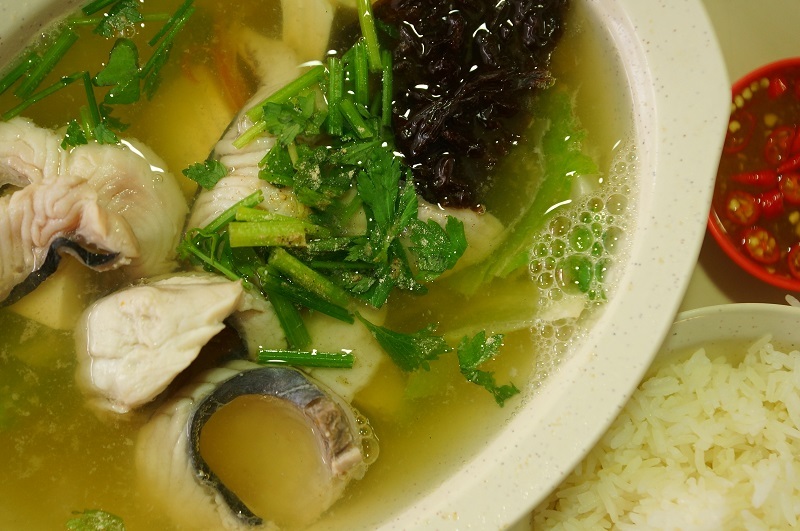 Han Jiang Fish Soup Uses the more expensive Batang fish than snakehead which was commendable. However, the thickness of the fish slice was inconsistent, some fish slices were very thick and that made cooking a big challenge, while ensuring the thick slab of fish was cooked, it has actually compromised on those thinner fish slices and result overcooking the fish. The intact of the fish skin was a drawback with the tingling of fishy taste of the fish meat. 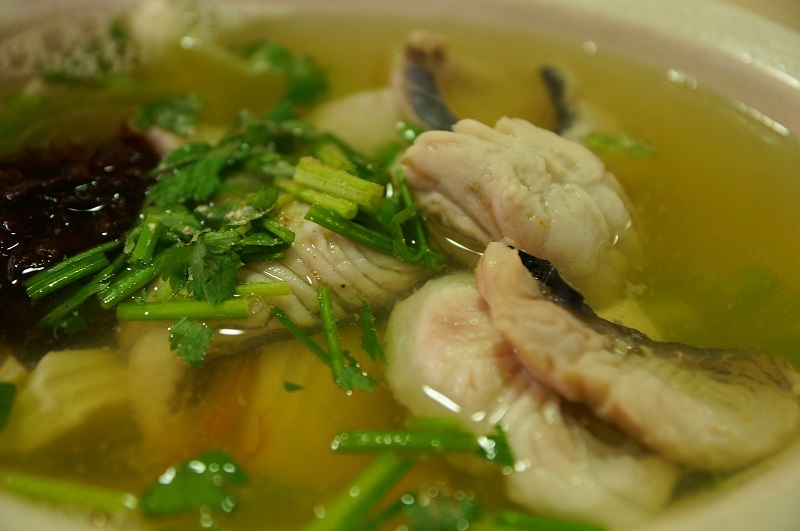 The fish soup was a medley of sweetness and very mild of saltiness with the added flat fish for the extra zest. However, we would very much prefer a more balance in the taste than sipping a sugary sweet soup. May be too much of sugar added?? Our verdict, Han Jiang Fish Soup sugary sweet soup was not sometime likable for us. Some tweets to the quality of the fish soup as well the preparation of the fish slice may be necessary to elevate the overall standard of the fish soup. To the Glutton Family, the 25 minutes wait was not worth for the wait.